We have a Eurovision … no, we have not written a Bucks Fizz song … we see the prospect for a better Britain in a united Europe and have written a heartfelt song to capture that vision. 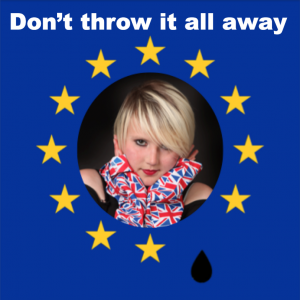 “Don’t Throw It All Away” is Madeleina Kay’s “Song for Europe”. The song speaks to our heads via our hearts of all the things we stand to lose if we leave the EU. Order your copies of the song on iTunes, Amazon, Google Play NOW: Just click the images below to find the song online. We are aiming for Top 40 success, not so much for the fame, but to “take back control of the media from Murdoch’s Murderous Media Machine”. Every download counts so please buy a copy on every platform instead of a cup of coffee !! “Don’t Throw It All Away” has moved several people to tears with its perfect storm of Madeleina’s poetry in motion. 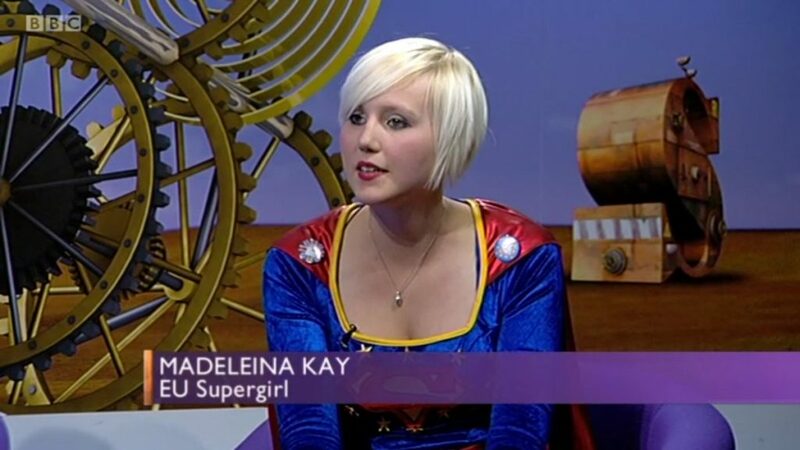 The song was written in a stairwell at the European Union by Madeleina in an emotional outpouring after she was removed from the EU Chamber for daring to wear a Supergirl costume to a Brexit Briefing by our “Brexit Bulldog” David Davis. 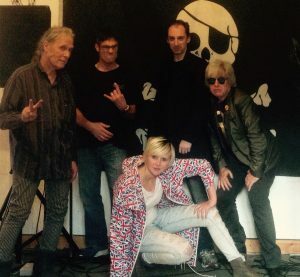 “Don’t Throw It All Away compares favourably with Sinead O’Connor’s version of “Vienna”. There is also a little bit of Nico in Madeleina Kay’s voice”. Will dissolve amidst its criticisms.